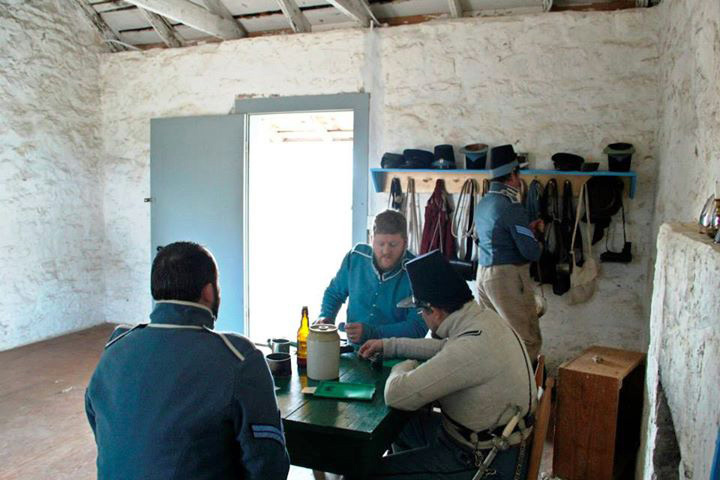 For one weekend in December, Fort McKavett State Historic Site was transformed into a military garrison circa 1852. 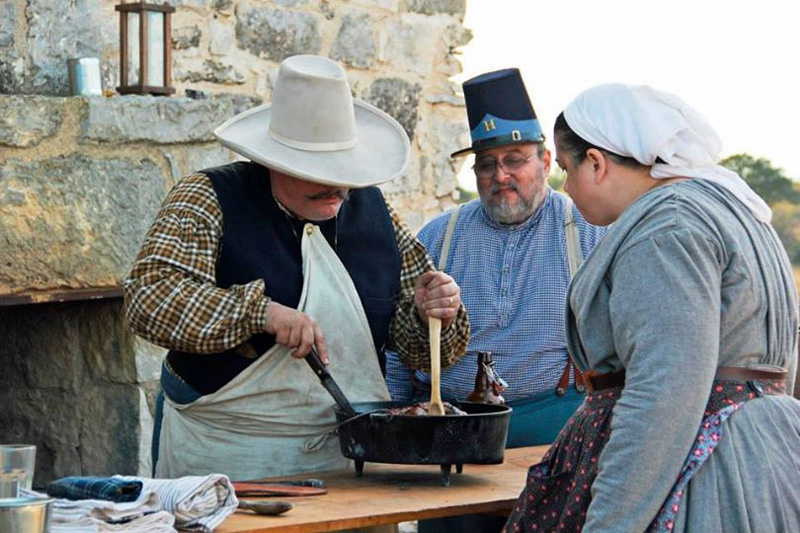 Members of the Co. H, 8th US Infantry living history group reenacted the lives of the soldiers stationed at Fort McKavett during December 1852. 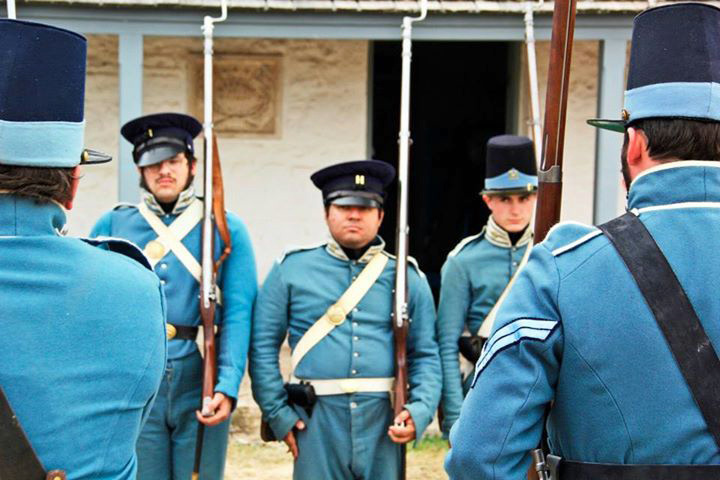 From reveille until tattoo, the participants carried out all tasks of the period just as the original cast did. 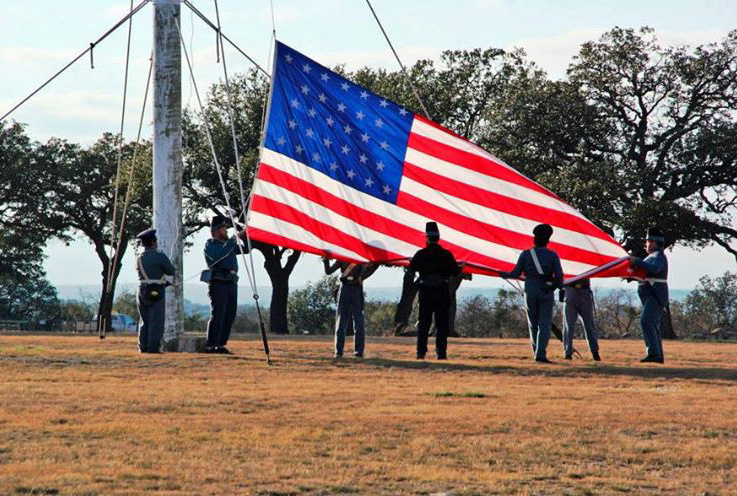 The fort’s furnished antebellum barracks housed the soldiers during the course of the event. 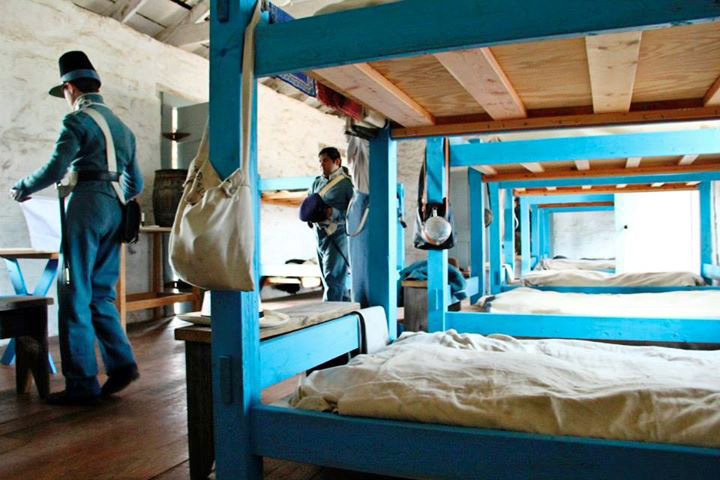 When they weren’t hauling water and chopping firewood for the cooks, the soldiers constructed additional double bunks for the barracks as part of their fatigue duties. 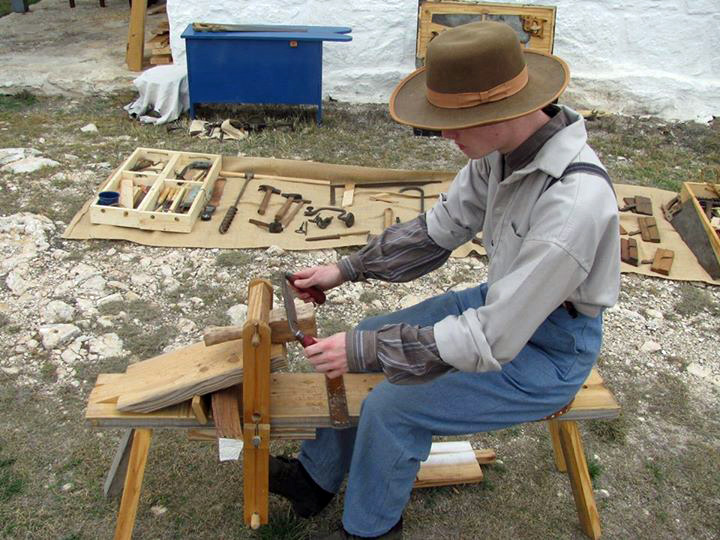 Historically, when Co. H was stationed at Fort McKavett, they spent most of their time constructing the post and very little time drilling. 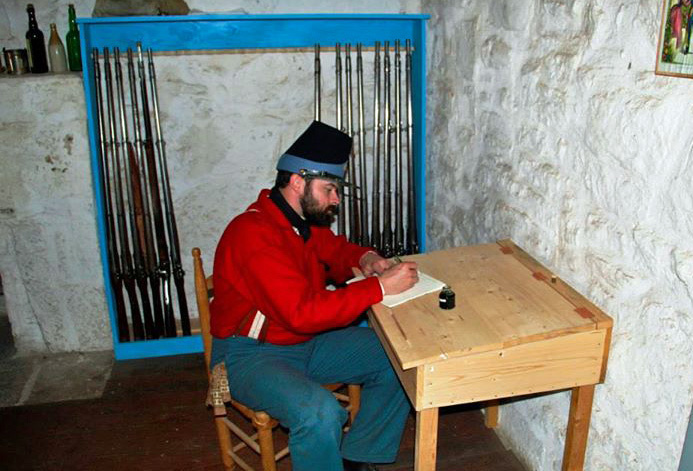 When the Inspector General visited Fort McKavett in 1853, he noted that the soldiers at the post were not proficient in drill due to their construction duties. 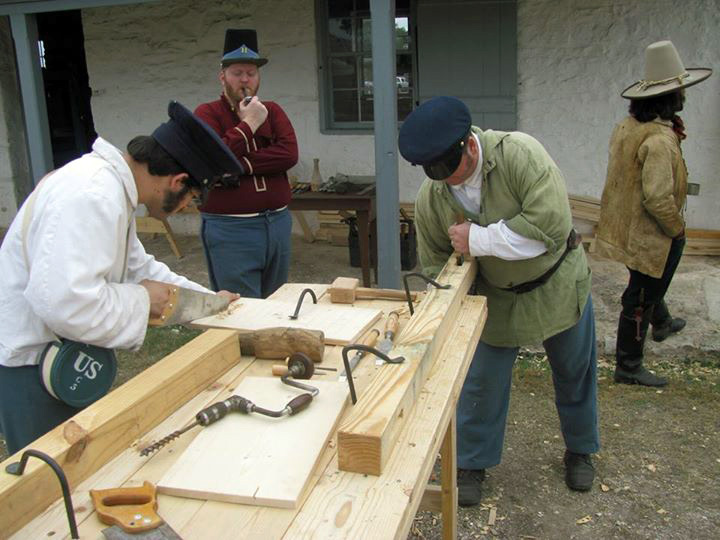 Many visitors came out to see the reenactors in action and interact with them as they learned about the tasks a soldier at Fort McKavett would have completed during his daily routine. The non-commissioned officers of the company kept busy with paperwork and organizing the fatigue details.